Since every USA bat is brand new this year, so we decided to buy about a dozen different new bats over the past few months for our kids to make a test. And we are quite confident to say the best USA Bat 2018 is the Easton Ghost X USABat that offers the most balanced swing. The pop is great off this thing. Our kids never complain about sting in their hands anymore either. Are we silly to do this? We hope not. The upfront cost was extensive, but we know how to sell the slightly used ones on ebay or on some baseball forums. We are still waiting for new bats come out to update this article. So keep in touch. And remember, we also appreciate your real reviews via our contact page. Here’s a picture from our last lesson. I know a lot of people at our local rec league who have already purchased the Ghost X, which I believe to be the most popular USA Bats for 2018 season! Keeping its reputation as one of the leading brands in youth baseball equipment, Easton has come up with various baseball bats that are guaranteed to meet the requirements of the 2018 USABat standard. One of these products is the 2018 Easton Ghost X USABat. Although Easton offers no less than six high-performance USAbats for 2018, Ghost X is considered the highlight of its baseball bat brands since it will replace Mako as Easton’s 2018 flagship baseball bat line. This two-piece composite bat is available in most of the baseball stores. A top-shelf performance bat, Easton Ghost X features a smooth smash and a monster barrel. It comes in sizes ranging from 29 to 32 inches. Furthermore, you can select whether you want a weight drop of 5, 8, 10, or 11. Somebody told me that drop 10 could be the most suitable for most youth players and drop 8 is ideal for strong and big kids who have a fast swing. Also, because of Easton’s new EXACT (TM) advanced carbon technology, the Ghost X -11 USA bat also offers light swing weight. It is also evenly balanced and easy to grip. Drop 5 also allows players to swing beautifully although a little bit slow. Easton Ghost X Series is approved for youth baseball plays in Little League Baseball, Pony Baseball, Babe Ruth, Cal Ripken, Dixie Baseball, and AABC Baseball. All these features make the Easton Ghost X series our favorite USABat even though it may not be the cheapest USABat that you can find on the market. Like most USABats, it also eliminates the pop. This is probably considered to be one of the best little league bats and As always, we never buy a bat before checking the price on Amazon. The Quatro and the Ghost are two expensive USA Bats that our kids hit the best because they were the most balanced. Another baseball weapon that will surely thrill is the Rawlings Quatro which is also known as the ‘Glowstick’ from Rawlings. I consider it one of the most attractive baseball bats because of its cool graphics but the balance, performance, flex, and ball flight that it offers is what makes it stunningly exceptional. Rawlings Quatro is what I recommend you use if you are a contact hitter who handles longer barrels. It has an extended barrel, so this bat has more plate coverage yet it also features a newly designed lightweight end cap which eliminates any unwanted weight towards the end of its barrel. This enhances overall swing speed as well as control through the zone. Meanwhile, the patented hinge system helps the bat deliver focused flex which allows players to swing the ball and create an amazing pop. The TruView Technology, on the other hand, exposes the carbon fiber composite barrel shaped for maximum distance and pop. Between the handle and composite barrel is Rawlings’ ‘Quatro Collar,’ which is also called VDT or Vibration Dampening Technology. This feature is a silicone-collar which is extremely helpful because it eliminates hands stings while offering exceptionally smooth feel at impact. This bat may not be the cheapest USABat available, but my son claims it is very easy to swing. The pop is also a common minor issue. You can buy this Rawlings Quatro USA Bat on JustBats.com, CloseoutBats.com, but Amazon is our favorite place. Like any other items, you get what you pay for when purchasing baseball bats. For this reason, high-performance USABats, at times, also entail high yet reasonable price. That was my fellow players’ problem when he planned to buy one for his nephew. Hence, I decided to help him find a good USA bat that is no more than 200 bucks. At first, I doubt if there is any, but good thing we have come across this one-piece, all alloy, hybrid bat model from Louisville. Because of its new and enhanced Speed Ballistic Composite End cap, Louisville Slugger Solo now claims to have a hybrid design. It is also now a combination of the improved end cap and Slugger’s SL Hyper aluminum material, resulting in enhanced overall control through the zone and increased swing speed. On top of these good qualities, Louisville Slugger Solo also has a swing weight score of 1.1 which is the most balanced in the 2018 lineup. It is recognized as the quickest swinging baseball bat from Louisville. The SL Hyper Alloy of this bat gives an increase in swing speed, ensures a traditional stiff feel on contact, and offers maximum energy transfer, resulting in more base hits and further ball flight. The excellent features do not end here because Louisville now also utilizes a new handle design which dampens vibration, eliminating sting in the hands when there are mishits. However, the most exciting is that around its standard handle, there is a lizard skins baseball grip that will give any player an enhanced overall feel and maximum comfort possible. The only downsides include some claims that the ball does not jump off the bat. As expected, this baseball weapon does not also have much pop; however many friends of mine claim that they enjoy the pop of this bat compared to other available USABats. We usually check price on Amazon first. A successor of the Easton Z-core, Easton Beast X promises to give the best hybrid designs among other brands because of its improved qualities. It offers excellent power, explosive sound and exceptional strength which can be attributed to its Advanced Thermal Alloy Construction (ATAC). Furthermore, this bat also comes with Easton’s X-tended barrel design which is made up of the Z-CORE internal core, a patented Easton technology that allows it to have a large sweet spot as well as the longest aluminum barrels among other lineups and models. This weapon also combines CONNEXION+ technology with its EXACT carbon handle, creating the DYNAMIC FEEL SYSTEM for an excellent feeling and a stunningly powerful two-piece hybrid bat while in the game, not to mention its 1.4mm HYPERSKIN grip to prevent any hand sting for every mishit. My 10-year old son prefers not to wear gloves, and he often complains about vibration. I bought this bat for him as a gift, and surprisingly, he did not have any complaints with this model. Also, even though USABats are known to have reduced ‘pop,’ this bat’s ‘pop’ is better than other USABats. It is also advisable to use whether you are a power hitter or a contact hitter. Like Easton Ghost X, Easton Beast X Hybrid is also approved for play in Babe Ruth, AABC, Dixie Youth, Cal Ripken, Pony, and Little League. All these qualities make Easton Beast X Hybrid one of my top choices when it comes to USABats. Please bear in mind, however, that this bat is slightly end loaded which means kids who are used to a balanced bat may struggle when using it. Also, a friend of mine also claims that it tends to be more suitable to use for bigger and power hitters. Quite heavy. It’s designed for big kids. 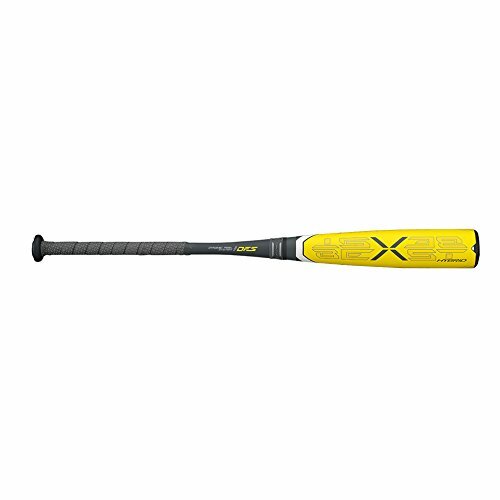 You can buy this Beast X Hybrid on JustBats.com, CloseoutBats.com, but Amazon is our favorite place. Another quality bat, this baseball weapon is constructed for strong elite hitting types of players who love a two-piece composite’s soft smash. It is a combination of a ”Mantic” alloy in the barrel and a composite handle which works well for powerful and big hitters. The Axe handle’s ergonomic shape enables players to have a better bat control, resulting in a more successful game at the plate. Moreover what makes Axe Elite Hyperwhip unique is its asymmetric end cap and knob which utilizes a hybrid design. This bat has an oval-shaped knob which forces contact only on one of the barrel’s sides.This ability to determine where impact happens allows Axe engineers to shave weight and volume off the backside of the bat’s barrel. This design is also known as ‘Hyperwhip’ which is present on all Axe Elite 2018 performance bats. Axe Elite hyperwhip also ranks one of the best USA youth bats which send the ball the furthest in feet, and it has also received one of the fewest negative feedbacks when it comes to vibration control. The only drawback my son claims is that it tends to have a heavy barrel. Also, other players I know say that it is not the right baseball bat for beginners because it requires strength to sustain a fast and level swing. After introducing and discussing our list of the best USABats, we hope making up your mind in choosing your preferred bat became an easier task. However, if you are still undecided which one you (or your kids perhaps) should take on your next game, we also would understand as these products are what we consider the best among the best 2018 USAbats. Because of its massive barrel and the excellent grip that it provides, Easton Ghost X, for us, stands out among the five. As we have learned, new models of USABats will have less pop; however, Easton Ghost X is exceptionally unique because its large barrel makes up for this change. This feature results in a large sweet spot as well for more power. Another thing we like about this product is that it comes in various drop weights (-5, -8, -10, and -11), giving players more choices to choose from to find one that fits them the most. It also offers an extremely comfortable feel even on mishits, not to mention its extremely smooth smash. Meanwhile, if you are on a limited budget, it is still possible to enjoy the same good features with the Louisville Slugger Solo 618 which swings nice and light while giving an amazing bit of pop and sound. 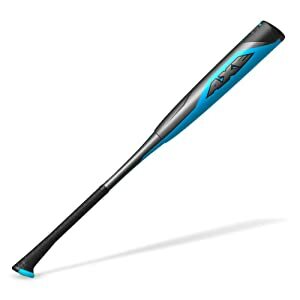 Most young players we know (including our son) who use this bat claims that its handle is, without a doubt, one of the most amazing features they have ever seen because it creates an almost zero vibration, reducing sting even on mishits. 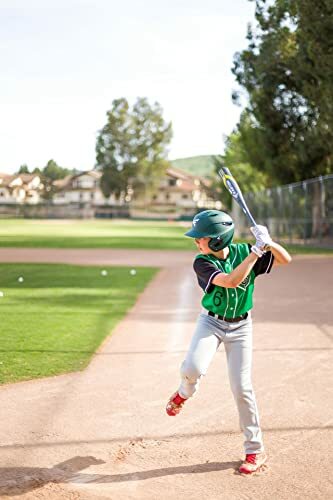 Recognized as Louisville Slugger’s fastest swinging bat, Slugger Solo 618 is advisable for Lil’ All-stars who want to experience hot out of the wrapper performance. All these qualities of these bats are more than enough to excite every young baseball fanatic, but above all, all these bats make you prepared for the most recent USABats Standards. As a new year unfolds, new things are also expected by most of us. The same thing is true when choosing the best USABats for 2018 season. In fact, 2018 will be a lot different especially to those young baseball enthusiasts (more specifically, for players 14 and under) because of the new USABat bat standards which will be a requirement in several leagues including Babe Ruth / Cal Ripken, AABC, Dixie, Little League and Pony. This new USABat Standard will make a wood-like performance and features in youth baseball bats; however, players can surely still use their lightweight and highly engineered bats. More interestingly, USABat will no longer have a drop weight limit. The said changes will take effect right on the first day of 2018 and while we are sure that this rule implementation will affect your bat purchase decisions, we reckon that you are perhaps still wondering which product is the right one to buy. We had the same thing in mind, so we decided to make our list of the most well-admired USABats that you can also consider buying as the new year comes. As our readers suggest, we have compiled all 2018 USA Bat Reviews in one article. Rawlings 2018 5150 USABat Review: Great all around bat for the price!